Skin Story was born out of the union of the love and passion for clear, luminescent skin. 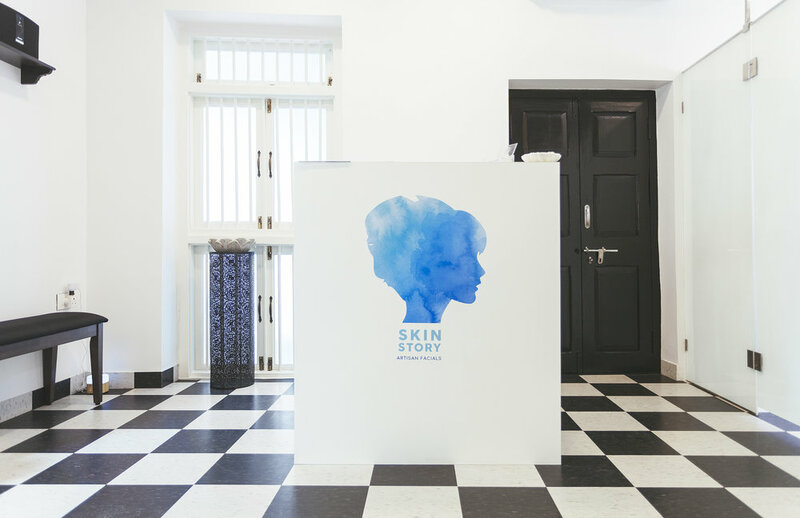 We at Skin Story, treat your skin like its our own. We intently pursue artisan facials designed to meet your skin needs. With our high quality marine based products you are assured of a service that is professionally personal. We also take immense pride in our exceptionally skilled and trained therapists along with maintaining high standards of hygiene. Most importantly, we offer french luxury services at affordable prices. Bring harmony to your complexion with our Algae detoxifying mask, which helps clarify and tighten pores. Your skin will feel completely redefined, replenished and revitalized. NOTE: Not suitable for individuals with a history of claustrophobia, thyroid or shell fish allergies. Reveal a brighter, more even complexion by noticeably improving your skin tone and texture. Drench your skin with moisture while utilizing potent marine extracts to restore balance to tired, overworked skin. A through cleansing and exfoliation is followed by a hydrating mask and serum that will help you skin reveal its natural radiance. This marine-inspired facial concentrates on the vital force and benefits of the ocean to restore perfect skin quality, delivering intense and lasting hydration. recreating the rhythmic motions of the sea to relax the facial muscles and relieve tension, this facial contains a double mask to correct concerns whilst leaving the skins texture improved and complexion smooth, plump and radiant. This pampering facial is designed for parched irritated and dry skin. Our unique collagen mask is meant to instantly diminish the appearance of fine lines, lock in hydration and help retain vital moisture levels. Immerse your skin in the luxury and efficacy of our most indulgent facial. Achieve a visibly lifted, more rejuvenated complexion with this fountain of youth facial.